One of the best things about living in London is the fashion but culture comes as a very close second. There’s always a new exhibit or show on the West End. It’s impossible to keep on top of everything, I’ve got a list as long as my arm of things I still need to get round to. 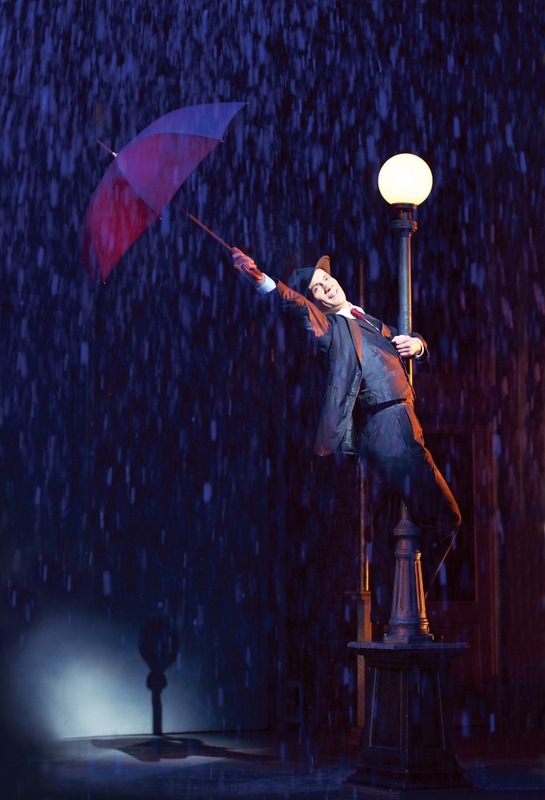 Somewhere near the top of the list was Singin’ In The Rain, I’ve heard such great things about the show. I was lucky enough to see it a week or so ago, courtesy of Premier. 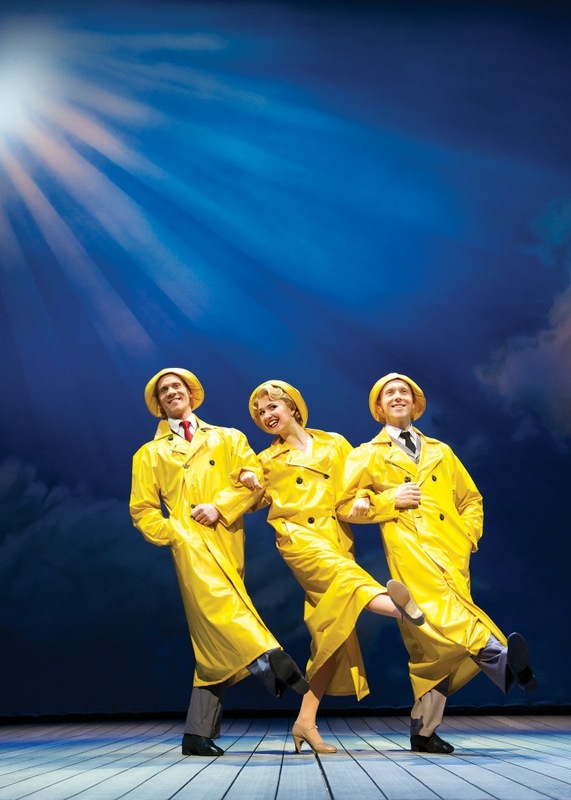 The original film version starred Gene Kelly, Donald O’Connor and Debbie Reynolds and is 60 years old this year! I haven’t seen the movie but I absolutely loved the show. Adam Cooper stars as silent movie star Don Lockwood alongside Scarlett Strallen as Kathy Selden with Daniel Crossley supporting as Cosmo Brown and the wonderful Katherine Kingsley is the hilarious Lina Lamont. Adam and Scarlett are fantastic but I’ve got to admit, Daniel and Katherine really made the show for me, they are hilarious and supremely talented. 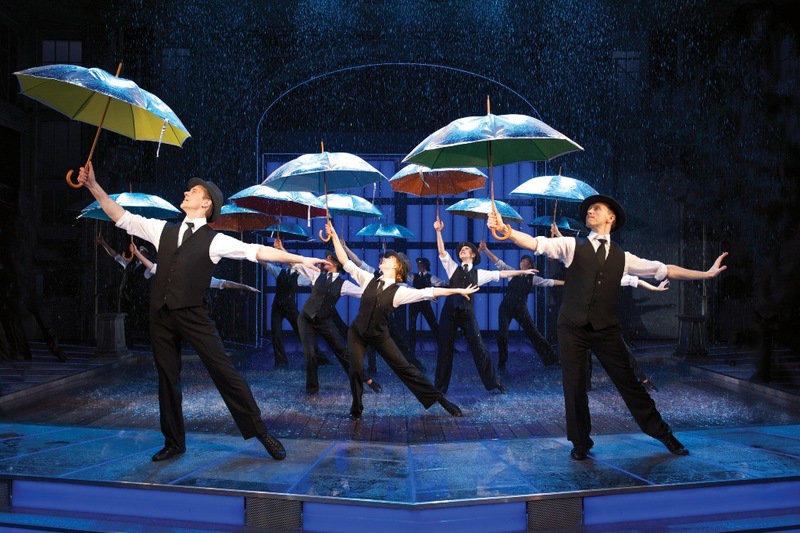 Undoubtedly, the highlight of the show was the iconic singin’ in the rain song. Kudos to the production team, there is actual rain pouring onto the stage for the whole song, 14,000 litres of it to be precise. Don’t worry though, the water is filtered, chlorinated and UV treated to ensure it’s safe for both the performers and audience (the first few rows do get wet) and it is recycled after every show. If you haven’t seen it, please do book tickets it’s incredible. 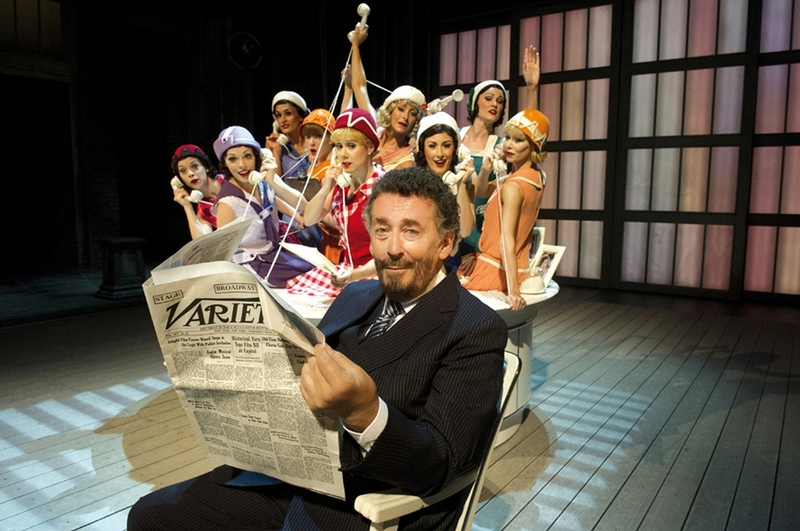 And if you’ve seen it before, you know you want to see it again…I know I do! Thanks to Frankie and Premier for the tickets.